Crafts and Cravings: It's one layer time at Riley and Company! I was so happy that Vera decided on this challenge for us ladies over at Riley and Company. I absolutely love one layer cards! Sometimes I have a hard time with them, but I love the challenge of making the simple look amazing! You can find Hammock Riley HERE at the Riley and Company Store. 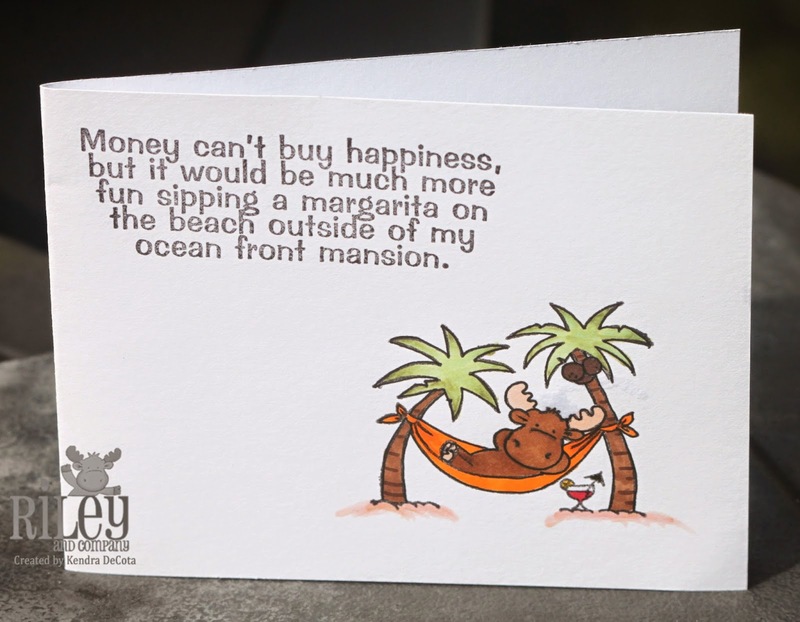 The Funnybones sentiment is called Money Doesn't Buy Happiness and you can find that HERE. Make sure you head on over to the other blogs to check out what my teamies have made! This is really cute, love the sentiment. Thanks for sharing at Open- Minded Crafting Fun. LOL Love the sentiment.. great image too.. Love Riley :) This is wonderful!!!! Thanks so much for playing along with us at Open-Minded Crafting Fun Challenges!!! Good Luck! I hope we see you again!! Great stamp and excellent sentiment!! This beautiful cas style makes the stamps stand out in such a perfect way!! 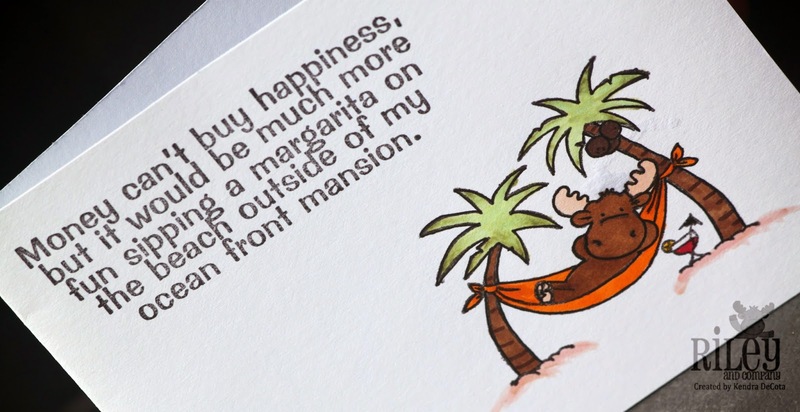 Giggle...great sentiment and such a charming card! Thank you for sharing it with us at OurCreativeCorner! WOOOOW love that CAS look and so wish I could make something like that. The sentiment is just too funny! Love it! Great one-layer card and the image is so much fun!!! Love the sentiment too! :) Thanks for joining us at Open-Minded Crafting Fun, Good Luck! Hope to see you soon again.